Xtralean is a weight loss capsule. The product has been around for a while, but not in its present form. The original formulation contained ephedrine (a problematic ingredient that can produce dangerous side effects), but the present day Xtralean capsules have cleaned up their act and are thankfully ephedrine-free. At the moment Holland & Barrett appears to be the only retailer who stocks the product so it is possible that the product is being phased out entirely. 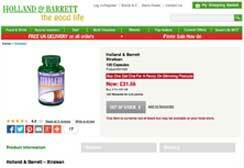 The Holland & Barrett website also seems to be the only site that provides any information about the product, but their Xtralean sales page provides no insight into the potential benefits the capsules are supposed to provide or who manufacturers them. Holland & Barrett are without doubt a reputable company, but such a lack of information about Xtralean is hardly a selling point for the product. It is impossible to say what the offered benefits are meant to be because the Holland & Barrett website only provides a list of ingredients accompanied by some usage instructions. Judging by the ingredients used in Xtralean, the blend is probably designed to work as a combined appetite suppressant and fat burner. Two capsules should be taken before breakfast. Two more should be taken at mid-afternoon. Initial doses should be halved for the first seven days so the user can monitor for side effects. Caffeine Anyhydrous (115.9mg): Caffeine in power form. Caffeine is a proven stimulant that can provide extra energy and may also contribute some appetite suppressing effects. Green Tea Extract (67.5mg): Green tea is a common inclusion in weight loss formulations, but its alleged fat burning prowess has never been successfully proven. Ginger Extract (12.5mg): Ginger can be a magnificent aid to the digestion, but its presence here adds little of benefit to the mix. Guarana Extract (51.4mg): Guarana is a potent source of caffeine, but the compound’s caffeine content is released quite slowly to provide a steady and prolonged source of energy. Maca Extract (100mg): Maca (Lepidium meyenii) is a member of the broccoli family. Its turnip-like roots are claimed to possess aphrodisiacal qualities and the ingredient offers many other health benefits. 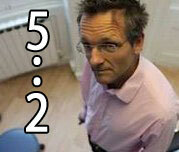 It is included here due to its (unproven) ability to reduce body fat by decreasing the body’s cortisol levels. Yerba Mate (81.18mg): A South American shrub extract with a long history of medicinal use. Yerba mate is believed to assist weight loss, but evidence of this is lacking. Acetyl L-Tyrosine (0.5mg): An amino acid that aids thyroxin synthesis. The thyroid controls the body’s energy usage speed, so acetyl l-tyrosine is likely included here to provide a boost to the metabolic rate and induce fat burning. L-Tyrosine (37mg): The above ingredient listed under one of its alternate names. Chromium (20ug): Another diet pill regular. Many people believe the ingredient has fat burning potential, but such claims have been discredited by the National Union of Health. Capsules are guaranteed to be free of: Artificial Colours, Flavours or Sweeteners, Preservatives, Milk, Lactose, Soya, Gluten, Wheat, Yeast, Fish, Porcine. Forum reviews show a mixed response to the product and the fact that some customers complain of a racing heart suggests many online reviews may refer to the old blend, containing ephedrine. The caffeine content may be problematic to some users, but anyone who can handle a few strong cups of coffee should be able to take Xtralean without issue. Possible caffeine-related side effects include the jitters, restlessness, nausea, headaches, and heart palpitations. Pregnant and nursing mothers are advised to seek medical advice before deciding to take any form or supplement. The same advice is offered to anyone who has health issues or concerns. 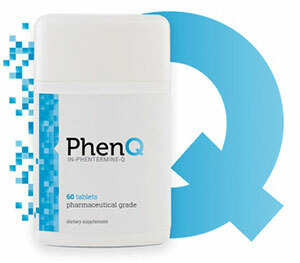 If you are looking at a fat burner then PhenQ would be our preference. 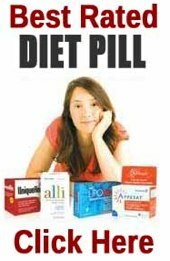 A capsicum based commercial diet pill that sells incredibly well in the UK, Ireland, United States, Canada and Australia.